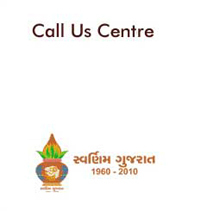 VCCI will also accept and issue Gujarat card for the benefit of NRGs. The NRG is issuing "Gujarat card" to Non-Resident Gujaratis outside India. "Gujarat card" is issued on filling the prescribed application format and submitting attested copy of recent passport and photographs. "Gujarat card" holders can avail of several rebates / discounts on products, purchases and services etc. have been negotiated by the NRG Foundation. The list of benefits to Gujarat card holder is given below. Ph. 079-2866343-46 The accommodation facilities at Circuit House Annexe, Shahibaug, Ahmedabad is Available on priority basis. Vile Parle (E), Mumbai - 400 057 The accommodation facilities at Circuit House Annexe, Shahibaug, Ahmedabad is Available on priority basis. 6 Gujarat Tourism Corporation Ltd.
Website:- www.gujarattourism.com 10% discount on rooms and vehicles on availability basis. Email. cgrmi@enfinet.com A. 10% discount on all investigations and general surgeries. Ph. 079-27540336 50% discount on consultation, Operation, Bed Charges etc. Ph. 079-26563515, 26563517 15% discount on making charges only on purchase of Gold & Diamond from their showrooms. 1. 20% Discount Lab. Charges & Diagnostic Tests. 3. 20 Discount to inpatient on Deluxe Room, Super Deluxe Room and Suite. 3. 10% Discount on our cake shop, "Fortune Cookies"
3. 20% discount in Room Charges. 15 M/s. R.K. Zaveri & Sons. Ph: 079-26563999-26409111 15% discount on making charges of Gold & Jewellery and 20% discount on making charges of Diamond Jewellery & Gold Jadit Jwellery. Ph: 079-26580111, 26586111 15% discount on making charges of Gold & Jewellery and 20% discount on making charges of Diamond Jewellery & Gold Jadit Jwellery. Website: www.sterlinghospital.com i. 20% discount for inpatient except cost of medicines and disposables. 19 Satyanarayan J. Jadiya & sons..
10% on our OPD for Consultation/Procedures with all Doctors on our panel. 2. 30% Discount on inpatient on Delux Room Super Deluxe room & Suite Rooms and Operation Charges. Email: hotel@siddarthpalace.com Website: www.siddharthpalace.com 25% discount on room tarrif with complementary breakfast. Courtsey pick up and drop facility from Airport to Hotel & back on prior intimation. 10% discount on Food bills. 7% discount on Silver ornaments jewellery, gift items. Website: www.setudental.com Free Consultation on first visit. 7.5% discount on the final payment towards dental treatment.